Full disclosure: I’m a woman in my mid-twenties and have been in a total of two short-lived relationships. The number really isn’t the problem, though. 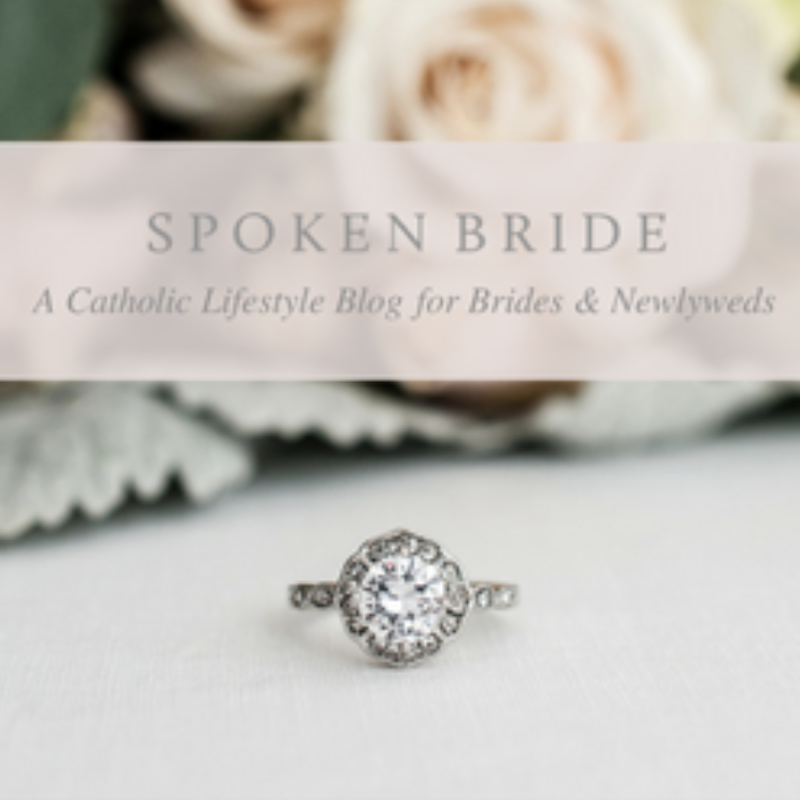 As a Catholic, I realize marriage isn’t the only vocation out there; I may be called to join a religious order or to live a consecrated single life. And because each of us lives a different life, our dating lives will look different too. Some of us have had many dating experiences while others of us have never been in a relationship. The reason why what I’ve said above feels like a disclosure is because of something society doesn’t typically talk about, something that I suspect affects more of us than we imagine: an anxiety that accompanies the thought (and perhaps the experience) of dating. Though this is not every woman’s reality, it has been mine. My dating relationships have been laced with disquiet. Even the thought of dating often produces anxiety. Let me explain what I mean when I say I experience anxiety at the thought of a romantic relationship. I mean that my particular insecurities have to do with my worth. A perfectionist through and through, I sometimes wrestle with seeing myself as more than my imperfections. Because I struggle to love myself, I also struggle to understand how another person could want to get to know me, to love me. An image I like to relate to this struggle is that of a garden (thank you, St. Therese!). When I look at the garden, all I see is dirt. The soil is barren and nothing is growing. But I am not seeing the garden others are seeing. My friends and family see beauty—flowers blooming in abundance. It’s almost as if I’m afraid to see the goodness within me, because that would be to admit to the imperfection of my vision. And though I know that I am a flawed human being just like the rest of the people on the planet, the fear of letting another person see me (in all my brokenness and beauty) is a stumbling block when it comes to a variety of relationships—but especially romantic ones. In both of my past romantic relationships, there was immense self-inflicted pressure to share all the things I felt were problematic about me. When I look back on that desire to name my flaws, I realize a few things: I was not being honest as much as I was trying to hide myself from the person I was with. My flaws are not the only part of me, and I was approaching these relationships as if my struggles were the definition of my personhood. I also see that my “escape approach” to relationships was a defense mechanism. In my formative years, I experienced teasing for my rather obliging temperament. Though this teasing did not change my temperament or personality, it did affect how I interacted with the world. I learned that it felt safer, and much easier, to hide my feelings and vulnerabilities from others, and to hold a large part of myself back in friendships with others, to prevent the painful possibility of another rejection. Though I now realize the drawbacks of living a life of hiding, the possibility of romantic relationships strikes against the old negative thoughts: “Once he really knows me, he will want to walk away.” These thoughts come from a place of woundedness, a place I’ve been slowly trying to heal through prayer, counseling, and surrounding myself with good friends. Perhaps you know a woman who struggles in this way. Perhaps you are a woman (or man) struggling in this way. Below are a few ways I have found to ease an anxious heart, which have helped me make connection and relationships easier. Talk to someone. After undergrad, I sought out counseling. I was struggling in some deep ways and wanted and probably needed the help of a professional. At other times in my life, conversations with my mom or a close woman friend have helped me come back to myself when anxiety feels like it has taken over. Find those listeners in your life. Surround yourself with people who lift you up. Find a creative outlet. Many times I need to get out of my head. Writing is often my way of processing my feelings. Whether your creative outlet is photography, ice skating, dancing, singing, drawing, running, or deep sea fishing, engage in it regularly. Schedule time for it in your day, like you would a meeting. If there is a way to do this activity with others, do it! Find ways to give back. There are times when I feel sad, lonely, and empty-handed in terms of what I can give to the world. When I take time to volunteer or do work in my community or church, I rediscover the beauty of other people. My focus shifts from within myself to outside of myself, and I gain a better, and more complete, perspective on life. Is there a particular movement, cause, or belief that draws your heart? How can you get involved in it? Don’t be afraid to go slow. Especially when it comes to romantic relationships, some of us in our upper-twenties and thirties start to panic. Is there a Mr. Right out there for me? When am I going to meet him? I have come to realize that based on my particular wounds, I need to give myself permission to go slow, to become friends with a man, to let the falling in love come at its own pace. If there is anything I could say to those who suffer from anxiety when it comes to relationships, it would be that you are not alone. I now realize that in developing relationships with others, I also need to be cultivating the relationship with myself and with God. This struggle has also helped me to think about relationship-building as a more active process—instead of focusing on how another person will love me, I can shift the focus to how I can best love that person. This movement within the reality of anxiety is by no means an easy one. But know there’s a friend out there rooting for you.